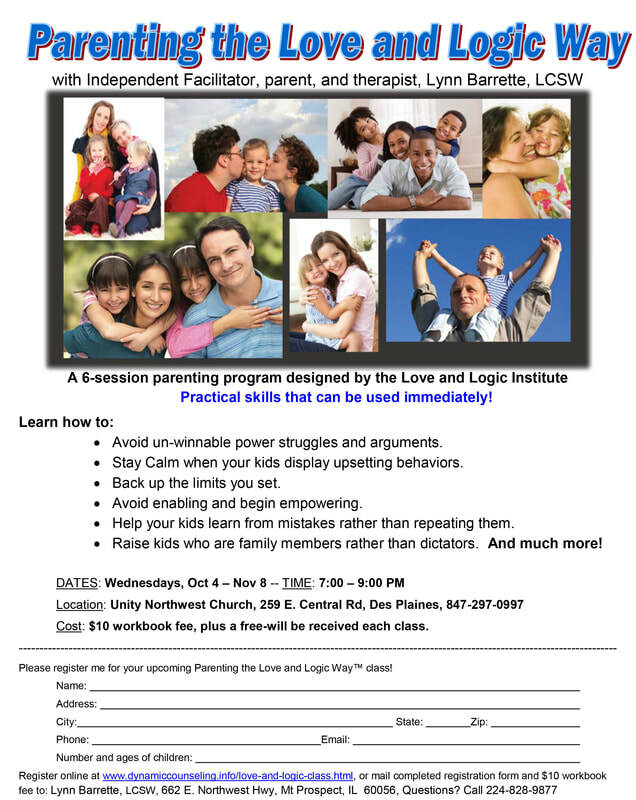 Yes, please sign me up for the six-week "Parenting the Love and Logic Way" class! Click here to purchase Parent Handbook for $10. If you have any questions about the class, please call Lynn Barrette at 224-828-9877, or email me here. Thank you, and see you at class! If a friend referred you, enter their name below. They willl receive a free Parent Manual for class! If you refer a friend, have them enter your name here, and you will receive a free Parent Manual. ***Please note: Only entries here will be eligible for a free Parent Handbook.